You might have accumulated some links for your site over the course of its lifespan. 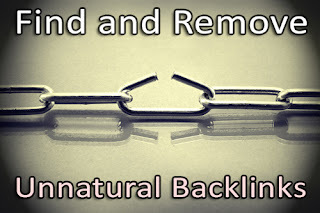 But while backlinks remains an important factor in search rankings, search algorithms have come a long way in detecting bad links, and penalizing websites for them. Which is why it might be time for you to do a link audit for your site, and remove any unnatural links that might be holding you back in search result pages. Continue reading this post to find out how to find, and clean up your bad links efficiently. Okay, so the first thing you need to do is, find out all of the suspicious links you might have have. They might not necessarily be all lousy. But you need to cover as many links as possible to do a link-clean-up. Your first clue to a bad link would be a message in your Google Webmaster Tools dashboard from Google, informing you about bad links that could incur a penalty. If you receive such a message, you've a problem and need to deal with it immediately. If you don't, then that doesn't mean you don't have bad links. You will have to check manually. Now go into Google Webmaster Tools, and under the Search Traffic section, click on Links to your site. Here, you need to make some intelligent decisions. For example, if a single domain constitutes a majority of your backlinks, say above 50%, then you might have a problem. Similarly, if a lot of backlinks are coming directly to your homepage, then you need to do some clean-up. Same is the case when only a few domains are linking a lot to a certain page on your site. Such links often cause a penalty, and are typically found in ads, footers, or blogrolls. Now is time for creating some lists. Google Webmaster Tools allows you to download lists in a spreadsheet format. From the Links to your site option and under the Who links the most section, click on More. Then, download the two lists as shown below. Combine the two lists, sort by ascending or descending order, and then remove any duplicates. Run the list through a spider software, such as Screaming frog, and isolate all the non 200 and 301 responses. Don't delete them. Simply create different lists for 200 and 301 links, and non 200/301 links. Now, take the 200/301 links, and run them through a script, isolating ones with a "nofollow" link. This will leave you with 200/301 followed links. These you will have to check manually. Now, you will manually have to check all the 200/301 followed links.Open each one in a browser, and see if its a 404 or not. If it is, then move on. Open up the document's source code, and search for your domain (eg, mybloggertricks.com, not www.mybloggertricks.com). For each link to your domain you find, check if it's indeed a followed link. If it isn't, and has a nofollow tag, then move on. If it is, then you need to check the quality of the webpage it's on. Here are a few pointers to help you. Link should be in the content, not on a sidebar or footer. Link should be relevant to the content on the page. The linking page should not be spammy, or a 'submit a link' scheme page. If the link seems unnatural to you, use the Disavow tool to remove it. But be sure to avoid any mistakes with this tool. Now, you've removed the bulk of your bad links. Remember; you need to do this every once in a while to ensure things run smoothly. Also note that it takes some time for Google Webmaster Tools to register changes with your links, so wait patiently if your removed links are still showing up. And please be careful with what links you disavow. Think it over thoroughly before you arrive at a decision, because you don't want to throw away a link that adds value. Good post. Informative and well explained. I must check backlink in my civil engineering blog as I've not done this yet. Nice post....please confirm, links from comments are unnatural or spammy link for our website ?? Good post but please tell me can we get the link back after Disavowing it if any link is Disavowed mistakenly. I was unaware of it, Thanks to Qasim bro fot it. I am going to check it now. One question I would like to ask that if a link is in comment of any website, then how will it affect a blog, as a user generally posts his blog's link to get backlinks and in wordpress there are plugins like commentluv which are especially designed for these purposes.